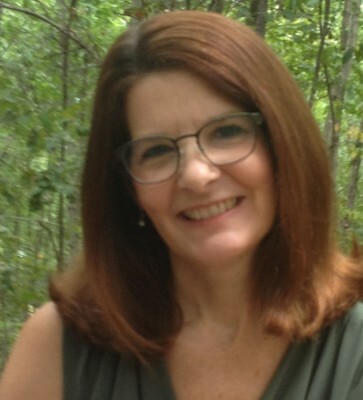 Michelle Buckman is the author of seven novels including the award-winning novel Rachel's Contrition, CALA finalist and Moon Beam Bronze award winner Turning in Circles, and Christy Award Finalist Maggie Come Lately. She is an international conference speaker renowned for her dynamic discussions on writing and faith, with special interest in teaching writing workshops. She also leads book discussions with school groups, library groups, and book clubs—both on location and virtually. Michelle has appeared on many podcasts and radio and television shows, and is always happy to make guest appearances. She has been a featured author at the Catholic Marketing Network trade show, International Christian Retail Show, Southeastern Independent Booksellers Association, and the South Carolina Book Festival. Michelle is also a freelance editor of both fiction and nonfiction on a selective basis. Contact her for more information. Michelle was born in New York and raised in Canada, but has lived in the Carolinas for many years. Walking on the beach is both her inspiration and her favorite pastime.